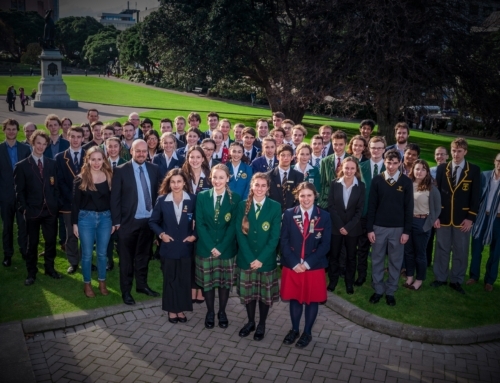 The 2018 National Finals of the New Zealand Schools’ Debating Championships were held from the 25th – 28th of May at Victoria University of Wellington. Twelve regional teams from Northland, Auckland, Bay of Plenty, Waikato, Hawke’s Bay, Central North Island, Wellington, Kahurangi/Marlborough, Canterbury and Otago/Southland took part in the competition. This was the first year that Bay of Plenty competed in the competition. The regional teams comprised the best speakers from the hundreds of debaters who competed at various regional competitions held earlier in the year. After the seven preliminary rounds, the top four teams were Waikato, who broke first on six wins, Otago-Southland (five wins), Auckland White (five wins) and Auckland Blue (four wins). 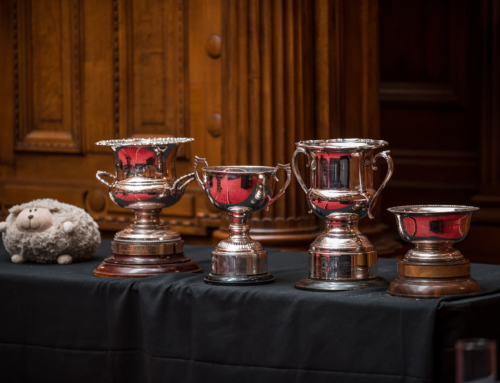 Bay of Plenty and Wellington Gold were also on four wins but tied with the exact same number of speaker points and win points in fifth place. On Monday morning the semi-finals were held at Queen Margaret College and St Mary’s College. The motion for the semi-finals was: “this house supports sanctions being imposed on states that develop nuclear weapons programmes.” Auckland Blue defeated Waikato in a 4-1 split decision and Otago-Southland defeated Auckland White in a 2-1 split decision. The Grand Final was hosted for the first time by Christopher Bishop MP in the Legislative Council Chamber of Parliament. We were delighted to have Justice Kos, President of the Court of Appeal, attend the Grand Final. Otago-Southland affirmed the motion and Auckland Blue negated. After an excellent and very close debate, Auckland Blue were declared the winners in a 4-3 decision. 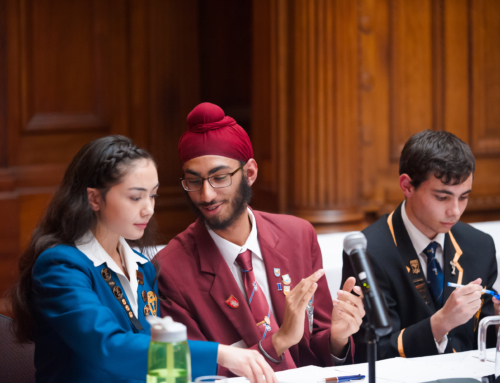 After the Grand Final the members of the 2018 New Zealand Schools Debating team were announced, competing at World Schools in Zagreb, Croatia. 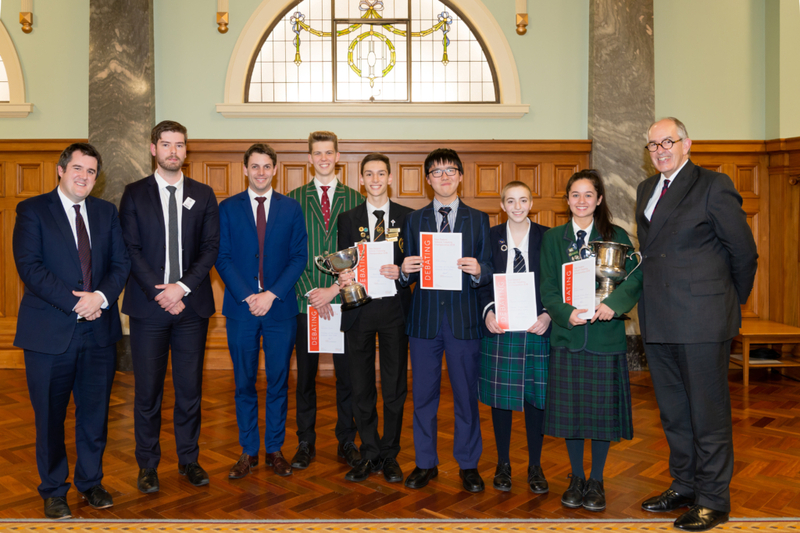 The five member team is made up of Nicholas Goodman (Hamilton Boys’ High School), Lydia Joseph (Columba College), Sabrina Swerdloff (Otago Girls’ High School), Alan Zhang (Macleans College) and William Price (Westlake Boys’ High School). The best speaker of the Championships was Nicholas Goodman, with Lydia Joseph being named captain of the New Zealand Schools’ Debating Team. 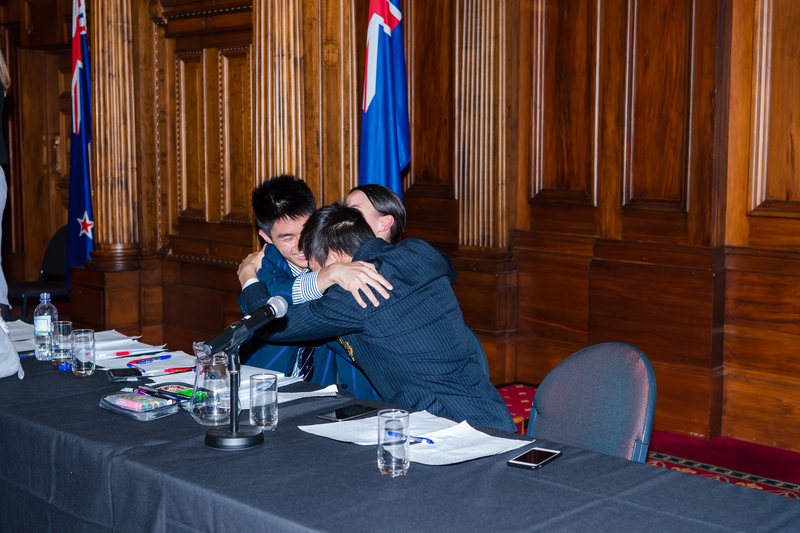 The New Zealand Schools’ Debating Council is grateful to everyone who contributed to making the Championships such a memorable weekend – adjudicators, coaches, chairpeople, and conveners Geneva Roy and Samuel Penno.